The Commission on Legislative & Political Advocacy (COLPA) works to ensure laws passed at the state and national level are in the best interest of the physician-patient relationship and health care in general. It encourages member participation in the legislative and political process and works closely with Congress, state legislators, national and county medical societies, specialty societies and others to promote KMA’s legislative priorities. The Commission on Public Health provides leadership to promote the physical and mental health of all Kentuckians through education and the advancement of healthy lifestyles. To accomplish this goal, the commission works closely with the Kentucky Department for Public Health and public health agencies, as well as the American Medical Association, local medical societies and other organizations. The Commission on Physician Licensure & Workforce works with the Kentucky Board of Medical Licensure, monitors trends in licensure statistics and ongoing statutory and regulatory licensure changes, and gets involved with other licensure issues of special concern. The commission also reviews the current and long-term physician workforce needs in Kentucky, as well as the needs of employed physicians and their employers. The Long Range Planning Commission evaluates the implementation of KMA’s strategic goals; conducts a continuous review of KMA’s bylaws, organizational structure, governance, programs and services to ensure they promote KMA’s strategic goals; and makes recommendations to the Board of Trustees about strategies to implement KMA’s mission. The Awards Committee selects the recipients of the KMA Awards for Distinguished Service, Educational Achievement, Community Service and Debra K. Best Outstanding Layperson. County societies or individual members may suggest nominees. The Continuing Medical Education (CME) Committee is the intrastate accrediting authority and promotes CME accreditation in Kentucky by assisting institutions and medical societies become accredited CME providers. The committee also monitors all national CME activities as they pertain to and directly affect KMA. The Council for CME sponsors all KMA CME programs offered and assists other organizations, specialty groups and medical societies in joint sponsorship of their programs when requested. The Physical Education and Medical Aspects of Sports Committee works on the improvement and overall health of the school-age child. It advises the Kentucky Department of Education, other interested agencies and physicians of Kentucky, through the Board of Trustees, of programs that would result in the development of stronger bodies, both mentally and physically, and in preventive programs that would eliminate and/or correct matters that might be detrimental to the health of the student athlete. 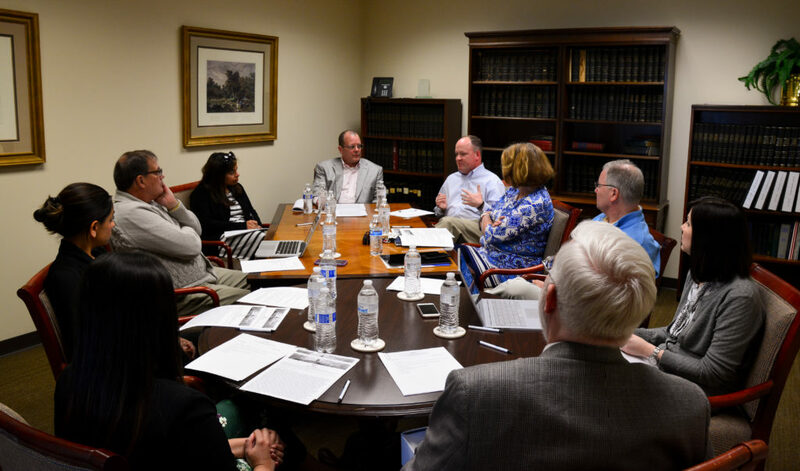 The Technical Advisory Committee on Physician Services (Title XIX), a quasi-governmental committee that acts in an advisory capacity and reports directly to the Governor's Advisory Council for Medical Assistance. This committee makes recommendations about implementation of medical care programs in Kentucky provided for under Title XIX of the Social Security Act. The Resident and Fellows Section provides resident physicians greater participation in organized medicine and a more direct role in policy deliberations. The Organized Medical Staff Section educates practicing physicians about working with hospital and health facility leadership on bylaws and policy to help encourage a self-governing staff. For more information, contact the Education Department at mosley@kyma.org.